We are engaged in offering a quality approved range ofHandmade Designer Carpet. It is a Handmade carpet made with new zealand wool. It has lot of colors induced. 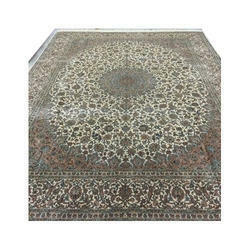 We are specialist of Indo-Nepali, Sumac, Shaggy, Hand-tufted and have been dealing in this business since 3 decades. We are exclusively engaged in providing Designer Carpet that is used to provide stylish look to the interior to the home. We are offering Handmade Wool Carpet to our client. 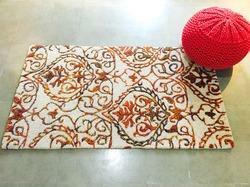 To meet the precise requirement of the clients, we are providing a wide gamut of Handmade Floor Carpets. We are a reputed entity, engaged in trading a qualitative array of Acrylic Hand Made Carpet.